The Groundbreaking is Almost Here! 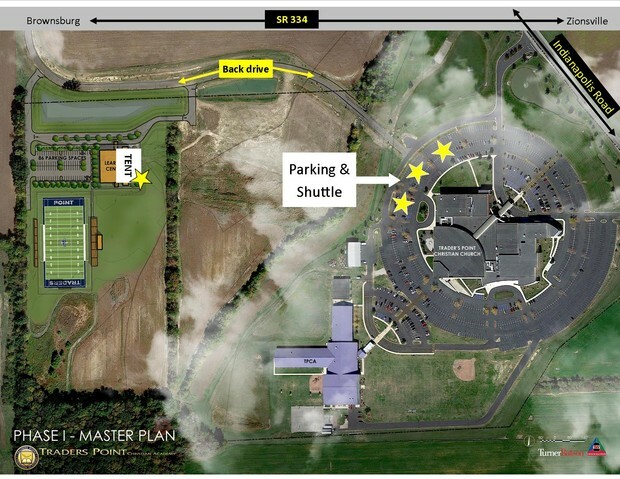 We will be parking behind the northwest corner of Traders Point Christian Church . You may enter from Indianapolis Road or SR334. Signs will direct you to the appropriate area. A shuttle bus will take you to the building site. Please see map below. Keep in mind, we will be inside a covered tent but we will be on gravel. This is a building site. You will want to dress for the weather and environment. We will see you tomorrow at 4:30 p.m.